There have been several books in recent years on animals in ancient Egypt, but this is the first devoted solely to animal mummies. 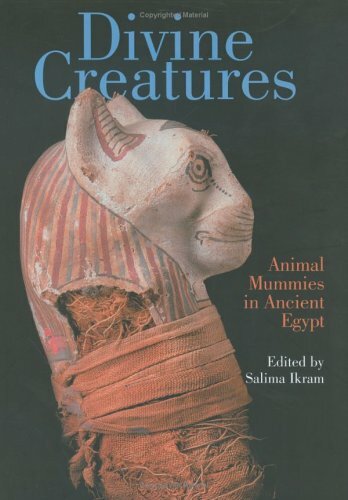 As Editor, Selima Ikram (who has worked on the collection of animal mummies in the Egyptian Museum in Cairo) has drawn together a number of experts on different aspects of the subject to contribute chapters. 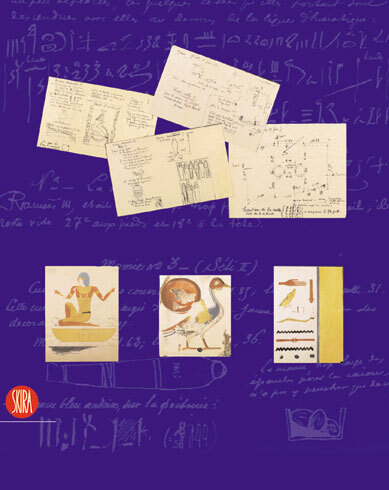 The chapter headings show the range of the book: "Animal mummies", "The Technology of Mummification", "The Cults and their Catacombs", "Bull Cults", "The Cats of the Goddess Bastet", "Tuna el Gebel – Millions of Ibises and Other Animals", "The Cult and Necropolis of the Sacred Ram at Mendes", "Sobek, Lord of the Land of the Lake" and "Protecting and Cleaning Crocodiles – The Animal Mummy Project". In these chapters we learn not just about the animals of ancient Egypt but also other, sometimes neglected, subjects such as animal domestication, vetinary practices, human nutrition, the technology of mummification and the religious practices and beliefs of the ancient Egyptians. The book begins with a "selected" list of animal cemeteries, which runs to nearly three pages, with a list of the animals buried at each site. The range of animals is itself surprising, from tiny shrews to huge crocodiles and bulls. Well-illustrated in black and white and with some colour plates, the book is easy to read and shatters a few myths along the way. The often-mentioned idea that the Egyptians so loved their cats that they had their tiny bodies preserved and buried is quickly dispelled when it is explained that the majority of animal mummies found, not just cats, were actually votive offerings and were "not allowed the luxury of a natural death" (what a nice way of saying they were killed!). It is important, therefore, to understand the religious aspects of the animal mummies and why they were made, and this book explains just that, putting the fragile remains in an historical, religious and social context. The techniques of mummification of animals is explained practically, following modern attempts to mummify animals including fish and a rabbit. Whilst we understand the process of human mummification well, and the timescales involved, the Egyptians clearly had developed the expertise of preserving animals from the very small to the very big. The results achieved by the ancient embalmers are sometimes remarkable. There is an amazing dog mummy in the Egyptian Museum in Cairo (one of the many illustrations in the book). Found in the Valley of the Kings it may well have been a royal pet, but even in death, it looks in a much better condition than many live dogs seen in Egypt today! The chapter on how the mummies are being conserved and displayed is fascinating, for the mummies are a finite and very fragile resource, but one that tells a larger story than might at first be appreciated. Animal mummies are found in most museums with an Egyptian collection and the reasons behind their manufacture are often misunderstood. This book explains all, is an excellent read, and is full of good up-to date and interesting details. A large bibliography enables those who want to research the subject further to find the right titles and authors. 2005. ISBN 977 424 858 9. Price £17.50. Hardback. As the title of this publication indicates, sixty previous editions have been published since it was founded in 1985. Until this edition, the Editor dealt with the administration and distribution, but this has now been handed over to Oxbow Books. Discussions was started as, in the words of the editor, “it became clear that an Egyptological mafia was at work, suppressing without discussion ideas which were not welcome”. It is true that many new ideas are often dismissed out of hand or ridiculed, and whilst some do fall by the wayside, others, sometimes over a period of time, are accepted and become the orthodox. Each issue (with 122 pages) features about eight or nine articles on, as one might expect, a wide range of subjects. Discussions is truly international in appeal and some of the entries are often in French or German. 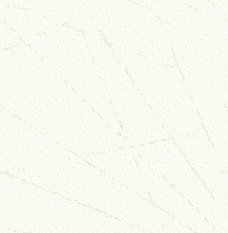 A number of book reviews are also included. Over the years Discussions has found increasing support and many well-known Egyptologists now contribute articles. This publication is probably for the more serious student, as some of the articles can be detailed and complex. In this edition there are articles on “The Spiritual and the Sexual Nature in Ancient Egypt” and “A Late Egyptian Verbal Construction with Sense of Criticism and Sarcasm Still Used in Egyptian Colloquial Arabic”. One article, by the editor, A. Nibbi, is entitled “The Two Lands – Again”. This shows perhaps the strength of Discussions, and the need for such a publication. In this article, she argues, using textual and even botanical evidence that the expression “Two Lands” does not apply to the north and south of Egypt but to the opposite banks of the river Nile. The idea of duality is well known in ancient Egypt and the argument is that there are two parallel lands having common physical characteristics. This is well written and certainly thought-provoking. Once someone has put forward an argument like this, with their evidence, then it is up to others to challenge it if they can. If this article starts a fuller discussion on the subject, then the aims of Discussions will have been achieved. Another article by Jaromir Malek which may interest all AEreaders who are studying hieroglyphs is a review of the new InScribe 2004 package for Microsoft Windows. For any periodic publication to survive for sixty-one issues shows that it has good support amongst Egyptologists. May this long continue, for there is a need for exactly this sort of publications where new ideas and interpretations can be published and discussed. Published by Oxbow Books. ISBN 1 84217 184 4. This book is available in the bookshop of the SCA in Zamalek, Cairo and also in the American University in Cairo bookshop. Some of the most attractive small exhibits in Egyptian collections around the world are reliefs or sculptures in the round, referred to as “models”, “sculptors’ models” or “trial pieces”. Most date to the later periods of Egyptian history but are especially prolific in the Ptolemaic Period. The range of subjects modelled includes individual figures of deities, royalty and private individuals, and many of animals as depicted in common hieroglyphs: bulls, owls, rams, owls, quail-chicks etc. There are even some sculptures of architectural features such as columns and doors. The unusual feature of all these works is that the edges for the relief plaques are carefully finished, which shows that they were intended to be like that. Additionally, the plaques preserve deliberately at their edge a strip of stone showing the original thickness of the slab. Many pieces are not actually finished: tool marks and artists guide lines can often clearly be seen. It is easy to understand, therefore, why these pieces should be considered as trial pieces by apprentice sculptors, but as the author points out, many have been found in the grounds of temples and in tombs and the assumption is that they may well have had a votive or ritual purpose too. The votive use of portrait busts is also well attested, going back to the Old Kingdom. 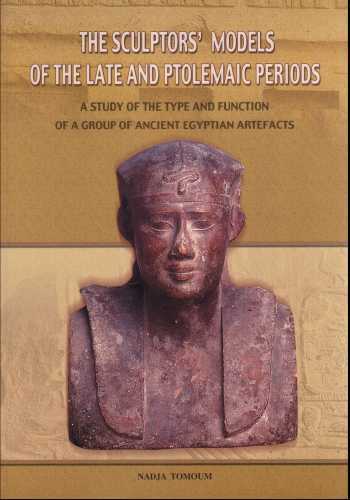 This volume looks at a huge number of these objects, many in the Egyptian Museum in Cairo, but others now in collections around the world. As the first-ever comprehensive study of these items, it makes for interesting and informative reading. The book looks at the early discovery and identification of the sculptures as artists’ trial pieces and the finding of evidence linking them to a ritual purpose. The conclusion is that the ritual role was limited and secondary to the main reason they were made, which was to pass on the master skills needed to a new generation of sculptors. The bulk of the book is divided into sections looking at the specific types of sculpture and in the case of sculptures in the round, how grid lines were used to establish the correct proportions. The number of busts and reliefs, for example, that survive in various stages of completion shows that this was deliberately done to demonstrate to trainee artists the sculpting process from start to finish. Because so many of the sculptures are unfinished, more so perhaps than for any other period of Egyptian history, they can and do tell us a lot about how the ancient artists worked; there is a detailed description of the methods the artists used, their tools and the various stones chosen. As such, this book is also of use to anyone interested in ancient Egyptian art, for the techniques used in these later periods were used in earlier periods too. With nearly two hundred individual pieces described in detail and also with good photographs of every piece (often multiple images of the same object, which is especially useful as the backs of statues are invariably never seen in publications), there is a huge amount of information and detail in this book. Whilst the subject might appear to be specialised, there is much in it of interest to the general reader too, and especially for any students of ancient Egyptian art. Published by the National Centre for Documentation of Cultural and National Heritage and the Supreme Council of Antiquities, Egypt. 2005. ISBN 977 305 816 6. Price 110 Egyptian Pounds. Paperback. This book, "Accompanies a Major BBC Series" screened in the autumn of this year. The programmes told the exploits of Belzoni, the great explorer and collector, of Champollion, who finally deciphered hieroglyphs, and of Howard Carter and the discovery of the Tomb of Tutankhamun. The stories of these three remarkable men have been told many times, and, as such, will be familiar to anyone already interested in ancient Egypt. Telling these stories again is not always a bad thing, for the stories do deserve to be re-told every so often. At least in this instance the author is a respected and well-known writer on ancient Egypt, which is not always the case with some publications. The book does, of course, stand on its own, and it actually provides much more information than can be included in a television programme. In addition to the main characters mentioned, it looks at the history of explorers, collectors and archaeologists in Egypt for the last two hundred years and includes many other well-known (in Egyptological circles) early Egyptologists and explorers. A full chapter is, deservedly, given to W.M. Flinders Petrie, whose work and techniques of excavation and recording, pioneering at the time, were to set the standard for future Egyptologists to follow. A chapter on the Valley of the Kings and the main discoveries there is followed by one on the discovery of the tomb of Tutankhamun, which, familiar as it may be to some, still makes fascinating reading. 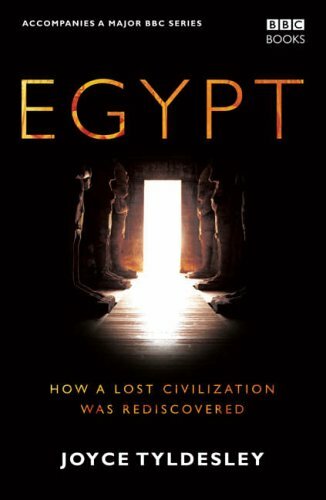 The book concludes with a chapter on Egyptology today, showing that major discoveries and new scientific research can still tell us more about ancient Egypt. My only real complaint about book (down to the publishers not the author) is the relatively small number of illustrations, grouped in three sections in the book. A book of this nature cries out for as many images as possible and for them to be printed on the pages where the subject is mentioned. It is always frustrating to have to flip through pages to find the image mentioned in the text. Having said this, if most readers of the book have seen the television series, there was a feast of visual images there. Whilst anyone who has been interested in Egypt for a while may find that this book includes much information they already know, a reader new to the subject, will find it an excellent way to find out about some of the most spectacular and important events in the history of Egyptology. Published by BBC Books. 2005. ISBN 0 563 52257 7. The title of this book doesn’t really indicate that the subject covers ancient Egypt. One of the images on the cover is of King Edward VI – and the other is of Tutankhamun, a face that is instantly recognizable (perhaps to more people that that of Edward VI). So what is this book about? Well, it covers a variety of Egypt-related topics, and chapter headings include "Stories of the Creation", "The Heb Sed Festival", "The Tomb of Nefertari" and "The Grave Goods of Tut-ankhamun" – all fairly standard headings, but other chapters are more intriguing and give an idea of what this book is really about: "Seth and Osiris, Cain and Abel", "Isis, Egypt’s Virgin Mary", "Akhenaten and Henry VIII" and "Edward VI and Tutankhamun". The title of the book "Nothing new Under the Sun" may now begin to make sense, for the author looks at subjects like ancient Egyptian literature, but then also looks at the Bible and writings of William Shakespeare. By looking at information from a wide range of sources, often from different cultures and from different times and places, similarities and links can be found with ancient Egypt. Egyptologists can sometimes be too blinkered and look only at their subject; looking at other cultures and historical events can be enlightening and informative for connections and similarities can often be made. In some instances a direct link with ancient Egypt can safely be made; in others it may just be coincidental, but the assumption is that when humans are faced with similar problems or circumstances, history often shows that they are dealt with, or reacted to, the same way. A problem faced and solved by Henry VIII (the Catholic church and his dissolution of the monasteries) can be equated with those faced by Akhenaten (closing temples in Egypt). Such comparisons can, of course, be dangerous, but can also be useful, and as long as one understands the whole story in both cases, then one can perhaps help to explain attitudes and actions of the other. The comparisons between ancient Egyptian religion and Christianity are explained, which is really interesting, as the links are not always apparent or recognized (or perhaps acknowledged) today. The book is illustrated in black and white, though some of the images do not appear at their best as they are printed on cream-coloured paper. With a Foreword by Professor Rosalie David and an extensive bibliography, this book is well written and easy to read. It provides much information about ancient Egypt, but also a wealth of English history too. If you like books that will make you think, then this is one for you, and the links and connections made are really fascinating. Published by Amarna Publishing. 2005. ISBN 0 9549653 0 2. Edited by Patrizia Piacentini and Christian Orsenigo. Readers should not be discouraged by the fact that this book is published in Italian and French (more on that later), for this large volume is an absolute must for anyone interested in the Valley of the Kings and the many important discoveries made there. French excavator, Victor Loret, worked in the Valley of the Kings for many years and in his 1898-99 season made several major discoveries there, including the tombs of Thutmose III, Amenhotep II and Maiherpri. All contained many objects still in situ. The tomb of Amenhotep II contained not just the mummy of that king (the first one to be found in his original tomb), but also a second cache of royal mummies, including Merenptah, Thutmose IV and Amenhotep III, plus of course three other unidentified mummies of a young prince and two women, who have been the subject of various "identifications" over the last hundred years. Loret has often been criticised for not publishing his discoveries, and whilst the many objects, now in the Egyptian Museum in Cairo, have been published in catalogues of the collection, the exact circumstances of their discovery and their context within the tomb was not known. Loret was involved in a dispute with the Egyptian Antiquities service and returned to France both humiliated and embittered and he gave up his promising career as an archaeologist to teach. Loret’s notes were not, however, lost, as had been thought, but were held by one of his students, French Egyptologist Alexandre Varille. After his death in 1951 (only four years after the death of Loret) this archive was forgotten until it was acquired from antiquarian booksellers Ars Libri of Boston, USA in 2002, by the University of Milan. It was soon realised that the rediscovery of this material was one of the highlights in the history of Egyptology in recent years. This, and other archive material, including Loret’s notebooks also recently re-discovered still in Paris, give almost a day-by-day account of his excavations. Loret’s records were surprisingly comprehensive and included all his field notes, detailed drawings and photographs. Loret recorded finds on cards and in notebooks. For the first time we know when an object was found, and most importantly where in the tomb and its relationship with other objects. This is really important as not only does it shed light on the objects themselves, but on the funerary equipment in general (most of which has been lost) and the use of various parts of the tomb. Loret also records the controversy and conflicting instructions he received over the transportation of the royal mummies from the tomb of Amenhotep II to Cairo. The contents cover Loret’s early finds in the Valley of the Kings and in particular, and in some detail, the tombs of Thutmose III and Amenhotep II. A chapter looks at his watercolour paintings made in the Valley and other chapters deal with his other discoveries and his many notes and observations on the Valley of the Kings in general. The Editors of the book provide comments and useful explanations of the notes. This large-scale book, printed on heavy paper and profusely (and superbly) illustrated, includes many new colour images of some of the objects found by Loret, as well as some splendid archive photos taken at the time of the discoveries. There are colour reproductions of Loret’s record cards, notes and drawings, complete with a modern transcription of each card. It is clear that Loret was in fact well ahead of his time, for the records are surprisingly detailed. Other excavators in the royal valley after Loret were not anywhere near as meticulous, at least up until the time of Howard Carter and the discovery of the tomb of Tutankhamun, where Carter too recorded his notes on cards. Returning to the matter of the book’s being in Italian, with Loret’s cards transcribed in French. Obviously, this will present no difficulties to the linguists amongst AE readers, but it need not be a problem. Whilst my own Italian is non- existent, even my very basic French is enough to make perfect sense of Loret’s notes; but an English translation of the text is available, although only if the book is obtained from Ars Libri in Boston. The translation (a papercover booklet) is by Stephen Quirke, Curator of the Petrie Museum in London. Ars Libri can be contacted at 500 Harrison Avenue, Boston, MA 02118, USA. They will advise shipping costs. 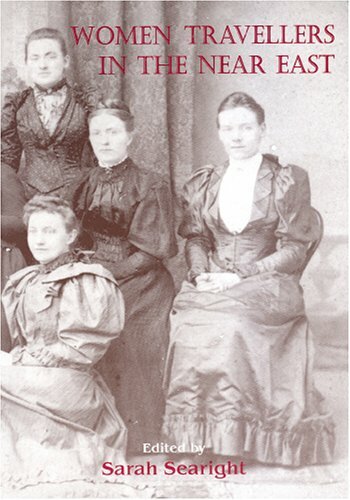 Do not be put off by the four austere ladies depicted on the cover – members of the Single Lady missionaries of the United Presbyterian Mission of North America – you will be converted by the contents of this fascinating book! Not a feminist book, there is a single male contributor (Charles Plouviez) amongst the eleven chapters, but the stories of some ten indomitable ladies, together with a couple of overview chapters such as "Archaeologists’ Wives as Travel Writers". Although space dictates fairly brief coverage of each of the ladies in so many instances, one wants to know more (and some of the subjects do have full-blown biographies published). Several of the ladies’ names may be quite familiar, notably Lady Lucie Duff Gordon, Amelia Edwards and Isabella Bird, but others such as the cover ladies, bring fresh light on a series of ladies for whom the words "indomitable", "intrepid", etc., are hardly enough, when one considers the date and places to which they travelled. Mostly they are from what might be termed the "upper-middle class" although there is the truly indomitable Sarah Belzoni amongst them. These ladies, for various reasons, ventured where in their society was not "the done thing". In some cases they accompanied husbands and recorded what they saw and experienced, e.g. Lady Liston and the Ambassadress in Constantinople, or Sarah Belzoni, faithfully following Giovanni, but still with a mind of her own. Some observed from a working environment – Emmeline Lott, Governess to the Grand Pasha of Egypt, or Lucie Duff Gordon, going to Egypt for her health, becoming entranced and working for the betterment of the local people in their health or troubles. The coverage by these ladies is wide, taking in Asia Minor, Egypt and the Levant, and they were, in the main, educated, enlightened and, particularly, resilient women. Their stories make fascinating reading and the bibliographies attached to most of the chapters will entice the readers into deeper and further reading. Peter is a well-known lecturer on Nile and Mediterranean cruises and the author of many books, notably Chronicle of the Pharaohs, now published in ten languages. Published by ASTENE/Oxbow Books, Oxford 2005. ISBN 1 84217 161 5. AE receives more books than it is possible to review in full. This does mean that some of the more esoteric books may not be included, nor may some of the more technical or learned volumes. However, it is important that readers should know that books have been published. Brief details will be given in AE from time to time, without formal reviews, comments or recommendations (or otherwise). Edited by S. Hendrickx, R.F. Friedman, K.M. Cialowicz and M. Chlodnicki. This substantial volume, with over one thousand one hundred pages, is the published proceedings of the International Conference "Origin of the State: Predynastic and Early Dynastic Egypt" held in Krakow in 2002. 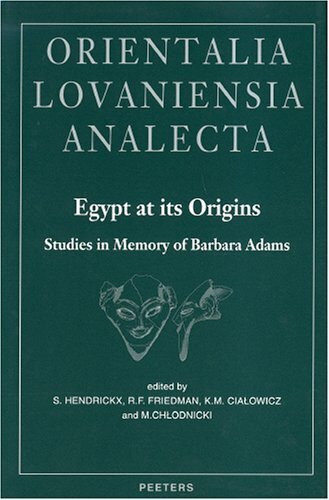 The Late Barbara Adams was one of the most enthusiastic supporters of the proposal that a conference dedicated to the earliest period of Egyptian history should be held and was one of the first to offer to participate. Sadly, she died just months before the conference, hence the dedication of this volume to her memory. With over fifty contributions and published papers, the subjects covered are many and varied, covering early sites from all over Egypt. The range of articles is impressive, from the use of "Neutron Activity Analysis" to "The funerary objects found in the early Dynastic tombs". As a consequence this book will probably be mainly of interest to the more focused student of this important period of ancient Egyptin history, for many are detailed and technical. These papers are important, for in the last decade or so, more work has been done in the field and in museums on this important and often sadly neglected period of Egyptian history and this volume brings the reader the most up-to-date ideas and research available. Published by Peeters Publishers, Leuven. ISBN 90 429 1469 6. Hardback.